Are CCTV Security Systems Best For Businesses? Running your own business can present a lot of challenges for you, and you probably stay busy with taking care of your business all of the time. This might mean that you don’t have a lot of time to think about things like business-related security, and you might have been taking your chances recently when it comes to protecting your business against theft and other crimes. However, it is important for you to realize that security is highly important if you want to keep yourself and your employees safe, and investing in a good surveillance and security system can also save you a lot of money and help you build and maintain a successful business in the long run. Although you might be wondering, “Are CCTV security systems best for business?,” you should realize that CCTV security systems are very important. 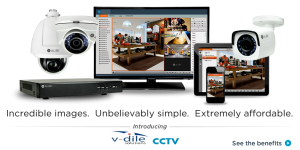 Although you might be afraid that you will have to spend a lot of money in order to install a CCTV security system in your commercial building and on your company property, you should realize that you can often get a wonderful deal on a CCTV system if you are willing to shop around and talk to a few experienced professionals, and you are sure to be glad that you did when you see a decrease in theft, vandalism and other crimes. Why is Security Important for Businesses? Security is essential for business owners for several reasons. First of all, you might not realize just how much money you could be losing if you aren’t taking the important steps to keep your business under surveillance. Shoplifting is much more prevalent than many people think, and your customers could be stealing from you on a daily basis. This can quickly add up to a lot of money if you don’t do something about the situation soon, but taking precautions and installing a CCTV security system can help you handle the situation right away. Not only can a CCTV security system help you with shoplifting, but it can also make a difference in employee theft; believe it or not, employee theft is very common, and even your favorite employees could be dipping their hands in your cash register or taking your stock when you aren’t paying attention. Along with helping prevent stealing of this nature, a good CCTV security system can also help cut down on burglary, vandalism and other crimes. Having a good surveillance system in place can also cut down on crimes in your parking lot or elsewhere on your property that might threaten you, your employees or your customers, and it can make people feel safer when they patronize your business. You can also learn a lot about your business and make necessary changes if you have a surveillance system in place. In fact, having one of these systems can help you keep track of employees who aren’t doing their jobs correctly or customers who seem unhappy with something about your business. 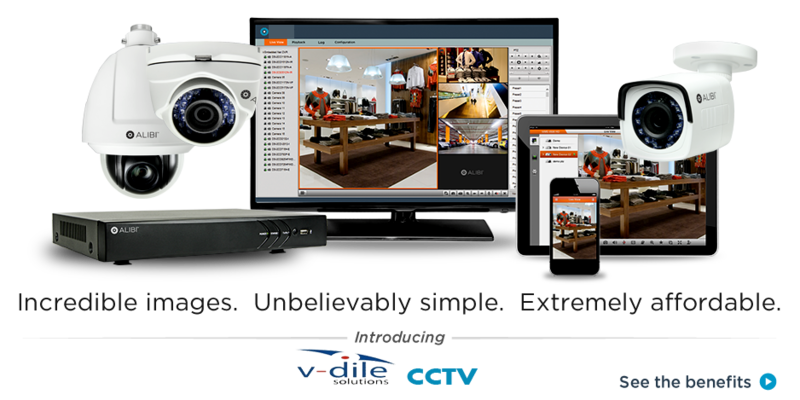 What are the Alternatives to CCTV Security Systems? Some business owners opt not to install CCTV security systems in their businesses. Instead, they might rely on their own eyes to keep a watch on what goes on in their businesses during the day. Although you can certainly catch some things if you watch everyone closely enough, it is impossible to really keep an eye on everything that is going on at once. You also won’t have the opportunity to keep an eye out when you aren’t around or when your business is closed for the evening, but this doesn’t mean that something can’t happen during this time period. You might have also considered installing a burglar alarm instead of installing a CCTV security system. Although burglar alarms can be very helpful if someone attempts to break into your business, they are best used in conjunction with CCTV security systems in order to provide you and your business with the best possible security and protection. Are CCTV Security Systems Best for Business? Although many people do not realize it, CCTV security systems are best for businesses of many different types. These security systems are reasonably priced and very flexible to purchase and install, and they provide several elements of protection that can help you keep your business safe from crime. Does Your Business Need a CCTV System? If you are a business owner who has not already invested in a CCTV security system, you should consider doing so as soon as possible. By talking to a security equipment professional, you can find out more about what components you need, how they can help you protect your business and how much you will have to pay for them. Contact us today for more information. Pecfert answer! That really gets to the heart of it!